From well above timberline on Willow Pass, a sunbreak after a morning thunderstorm lights the Maroon Bells and Pyramid Peak (14,018'). 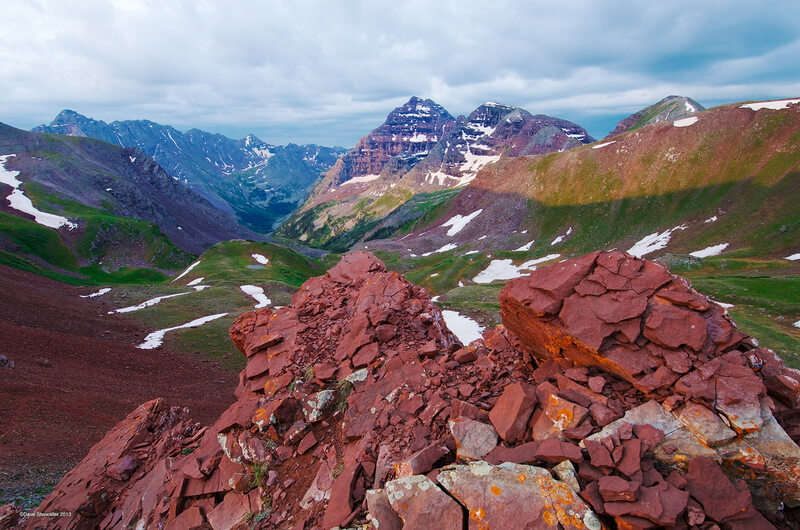 Maroon Peak (14,156') and North Maroon Peak (14,014') are the namesakes of the wilderness and highly coveted by climbers. Iron in the weathered mineral hermatite gives the notoriously crumbled rock its maroon color. Photo © copyright by Dave Showalter.